Our coaches' qualifications include Play Tennis instructor, TSA Play and Stay instructor, as well as ITF National Instructor. We are qualified and registered with Tennis South Africa through whom we are affiliated with the International Tennis Federation (ITF). We keep ourselves up-to-date with the latest tennis trends and developments world-wide. We have more than 13 years of combined coaching experience with beginners, intermediate and advanced players of all ages, in groups and private lessons. Francois is the current owner and manager of LTD Tennis, having taken over the reins at the start of 2013. He joined the LTD team as a Level 1 Coach in May 2011. He started playing tennis at the age of 13, and never received formal coaching, but because of his passion for the game, taught himself tennis by reading tennis-coaching books during high-school and watching professional players playing. He played national tournaments after high-school and had a National Open Singles Ranking of 133 when he stopped competing in national tournaments in 2003. He completed a SAPTR Level One coaching course in 2004 and the Play Tennis Instructors course in 2005. He also completed the ITF Play and Stay coaching course as well as the ITF National Instructors course through Tennis South Africa. 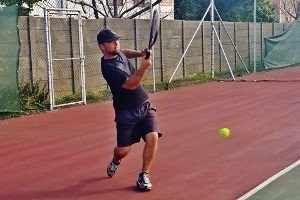 He coached at Henk Kleinschmidt Tennis Academy in Centurion, Gauteng, in 2004 and 2005, and became a self-employed coach from 2008, coaching in Pretoria and eventually in Cape Town as well. Conrad is the founder of LTD Tennis. At the start of 2013 he moved with his family to Perth in Australia, and still checks in with LTD Tennis from time to time. His highest ranking for SA TENNIS VETS was nr. 8 singles and nr. 4 doubles. He is an entrepreneur and loves to take on challanges. His passion for the game, open-minded outlook on developing individuals holistically, and creating an environment where people can improve their game, puts him in a priviledged position to pursue his calling in working with people and enjoying the sport. HD started playing tennis from age 8. He is passionate about the game. 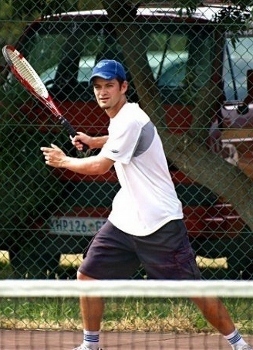 He played for WP Tennis League 2005 and was also part of First Team Club Tennis. He is an ITF Qualified Coach (including Play & Stay) with 13 years playing experience. Morney joined the LTD team in April 2015. During high school he was the first tennis teams' captain. He won the annual Spar tournament in Durban once and came second twice. He also played in the Dunlop and Slazenger series tournaments at Durban stadium. He has successfully completed the TSA and ITF Play&Stay coaching course and is in the process of completing further courses as well.